Jason Worob and the girls 12’s, after dropping their first game to Haverstraw, won their next two games (over Nanuet/West Nyack 18-7, and Suffern, 17-7). On Tuesday 6/26, the team was eliminated, 9-6, in a semi-final game by New City/Congers. (Link to Bracket). Ken McCarthy and the boys 11’s won their first D18 game on Monday, 7-0 over West Nyack. They then defeated New City, 8-0, in a game started on 6/27 and completed on 6/29. In a well-played semi-final on 7/1, the team dropped a 3-1 decision to Haverstraw. In a re-match with New City on Monday, 7/2, PR won, 6-1 at Anderson Fields, setting up a championship round with Haverstraw. Unfortunately, Haverstraw prevailed, 5-1, on 7/6, eliminating PR, but the team had a good run and should hold their heads up . (Link to Bracket). Tom Lynch and the boys 10's dropped a close first game to Suffern, 2-1, but rebounded on Tuesday to defeat Nyack-Valley Cottage, 11-3, and then decisively beat Congers, 8-1, on Wed. The team lost to Stony Point, 8-4, on 6/30 and were eliminated, but they had a terrific tournament. (Link to Bracket). 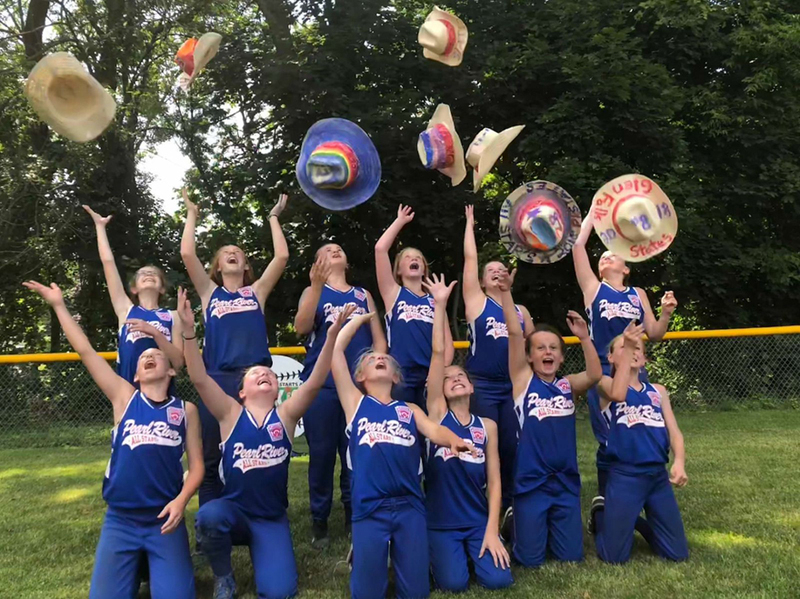 The 10's are moving on to a second tournament, the Konkowski Tournament in Suffern, where they will play Stony Point on Wed, 7/11 at 7:30, New City on 7/12 at 7:30 and Haverstraw on Sat., 7/14 at 12 noon (playoffs on 7/17, 7/19 and 7/21) (Link to Schedule). Mike Carlacci and the boys 12's won their first D18 game, 6-4, on Wednesday over host Stony Point. On 6/30, they had a come-from-behind, extra inning, squeeze-bunt walk-off victory over Suffern, 10-9, made possible by a 3-run HR in the bottom 6th to tie the game. The team then lost a tight game to Haverstraw, 3-1, on 7/3. They then dropped the semi-final to New City, 5-1, on 7/6, ending their tournament. (Link to Bracket). Maureen Costello and the girls 10’s dropped their first D18 game on 6/28 at 7:00 p.m., 10-5 to South Orangetown, then were eliminated on 6/29 by New City/Suffern, 16-6. (Link to Bracket). Billy Collins and the girls 11’s won their first NYS game , beating the team from Staten Island 11-1 in 4 innings. They won again on 7/26 against East Hampton LL and 7/27 against Lagrange LL. They defeated East Hampton for the championship on Saturday 7/28. Matt DiLorenzo and the boys 9's lost their first two games in the West Nyack 9's Tournament against Haverstraw and Stony Point, but they came back with a big game (14-2) against Suffern 7/7. The team then lost a tight game to New City on 7/8 resulting in their elimination. (Link to Schedule). The Kayser-Brady Tournament ran from Sunday, July 15, to Thursday, July 26, with the Pearl River boys falling one game shoort of the semis in the Billy Kayser Memorial Tournament. (Link to Kayser Scores & Schedule). Kenny Tait and the girls' 9's reached the final game in the Alicia Brady Memorial Tournament, hosted by PRLL, won by South Orangetown. (Link to Brady Scores and Schedule). Thank you for showing your PR pride and cheering for the teams! Stony Point won the Kayser Tournament (baseball) title, while South Orangetown defeated runner-up Pearl River for the Brady Tournament (softball) championship. 2018 PRLL Parking Policy remains the same - All PRLL families must park at the Verizon Wireless lot. Use this link for further information. 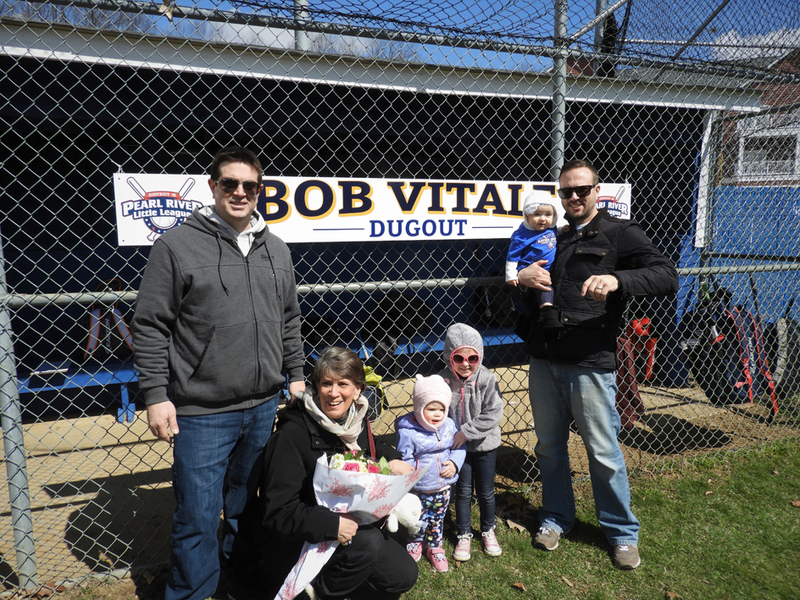 PLEASE SEE THE "IN MEMORIAM" TAB ON THE TOP MENU FOR TRIBUTES TO THREE INVALUABLE PRLL VOLUNTEERS, BOB VITALE, GEORGE DOONAN AND JOHN TAYLOR.